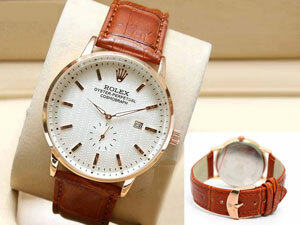 Introducing Classic Rolex Skeleton Automatic Two-Tone Wrist Watch for Men at lowest price in Pakistan. 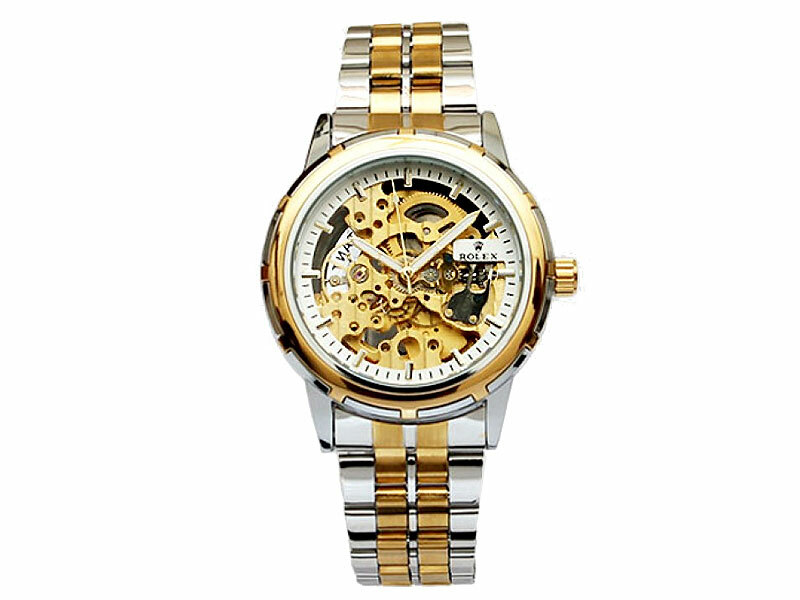 It is an elegant and stylish design Skeleton Watch that has high quality two-tone stainless steel strap with stainless steel dial case. 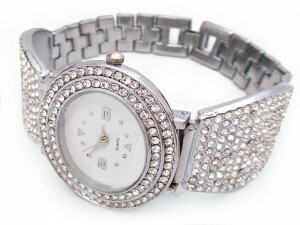 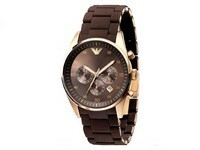 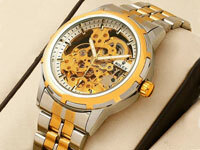 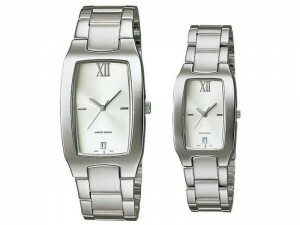 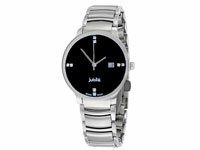 It has self-winding mechanical automatic movement and hardened mineral crystal glass. 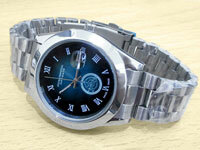 The most amazing thing about this Rolex Skeleton Two-Tone Watch is it has transparent caseback that display the engine. 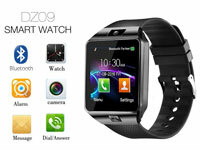 It is water resistant and will be presented in attractive gift box. 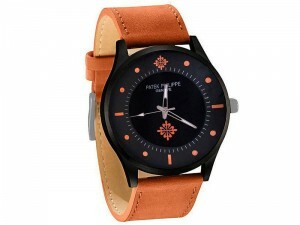 Men's Automatic Skeleton Two-Tone Watch Price in Pakistan (Code: M007584) offer by PakStyle are just Rs.2495/- instead of Rs.4000/-. 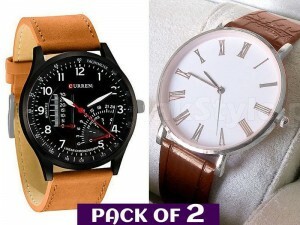 Buy Men's Automatic Skeleton Two-Tone Watch Online in Pakistan and variety of other products like Mens Watches at PakStyle.pk and enjoy Fast Shipping with Free Home Delivery in Karachi, Lahore, Rawalpindi, Islamabad, Faisalabad, Hyderabad, Quetta, Peshawar, all across Pakistan and get it delivered in 1-4 working days.